Poverty, increased inequality, and social exclusion are back on the political agenda in Western Europe, not only as a consequence of the Great Recession of 2008, but also because of a seemingly structural trend towards increased inequality in advanced industrial societies that has persisted since the 1970s. How can we explain this increase in inequalities? Policies in labor markets, social policy, and political representation are strongly linked in the creation, widening, and deepening of insider-outsider divides―a process known as dualization. 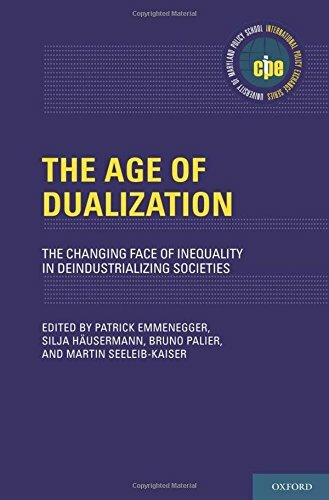 While it is certainly not the only driver of increasing inequality, the encompassing nature of its development across multiple domains makes dualization one of the most important current trends affecting developed societies. However, the extent and forms of dualization vary greatly across countries. The comparative perspective of this book provides insights into why Nordic countries witness lower levels of insider-outsider divides, whereas in continental, liberal and southern welfare states, they are more likely to constitute a core characteristic of the political economy. Most importantly, the comparisons presented in this book point to the crucial importance of politics and political choice in driving and shaping the social outcomes of deindustrialization. While increased structural labor market divides can be found across all countries, governments have a strong responsibility in shaping the distributive consequences of these labor market changes. Insider-outsider divides are not a straightforward consequence of deindustrialization, but rather the result of political choice. A landmark publication, this volume is geared for faculty and graduate students of economics, political science, social policy, and sociology, as well as policymakers concerned with increasing inequality in a period of deep economic and social crisis.